Bergen Record: Are Good Samaritans Kosher? Yes indeed, Good Samaritans are kosher. It is a worthy good deed to stop to help a traveler who is in need of assistance. The Road Warrior column in the Bergen Record took up the issue of good Samaritans who stop to help motorists in New Jersey. From the fact that this is considered newsworthy and unusual, the columnist moves into many aspects of the act - how the recipient feels, whether one should be wary of offers of help and related questions. And I am quoted in the article. That's because I am on the writer's panel of readers from whom he solicits quotes on issues that he tackles. My quote points out that in Minnesota, where I lived for many years, it was taken for granted that people would stop to help a motorist in trouble, especially during the harsh weather of the winter. Frankly, I do not know how to work out without being mindful. In an article, The Times concludes, "To Jump-Start Your Exercise Routine, Be Mindful"
A study in the Netherlands has concluded that, "mindfulness... played a pronounced role in making exercise feel satisfying, the data showed. People who reported being mindful during exercise also generally reported satisfaction with exercise." The same goes for every waking activity of life. As long as you are alive, I believe that it pays to be mindful. Bergen County Philanthropist Angelica Berrie was profiled in Forbes magazine in an article by Ashlea Ebeling. Berrie is a major donor to Israel and Jewish causes. They met in Manila in 1989. Angelica Urra was 33, a convent-educated Filipino of Spanish and Chinese descent who had built a little business manufacturing and exporting papier-mache jewelry from her home country. Russ Berrie was 55, a Bronx-born secular Jew who started out selling Fuzzy Wuzzies (tiny creatures bearing greeting card messages) from a rented New Jersey garage in the 1960s and had taken his burgeoning business in tchotchkes and teddy bears public in 1984. At their wedding in 1992 (her first, his fourth) their cake was topped with pink- and blue-haired rubber trolls, then among Russ Berrie and Co.’s biggest sellers. For the next decade Russ and Angelica worked together building up both his business and his charitable giving. The company even made the 2001 FORBES list of the Best Small Companies, with revenues of $302 million and net profits of $44 million. But on Christmas Day 2002 Russ, a type 2 diabetic, died of a massive stroke, leaving the Russell Berrie Foundation assets valued at $420 million, including 43% of the company’s stock, then worth $340 million. At first Angelica, who had headed up strategic planning, took over as CEO of the company, as well as president of the foundation. But running the business without Russ wasn’t as much fun, and there were problems as the company digested its 2002 acquisition of the Sassy baby products line. So in May 2004 she relinquished the CEO job to a former Toys “R” Us exec and turned to a bucket list (she had made it when Russ died) of things she wanted to do by 60. Among its entries: convert to Judaism, meet the Pope, learn to drive and skydive. “How cool is that, to pursue what you want?” asks Berrie, who at 59 has checked off all those goals and keeps adding new ones. Yes, Jon Stewart is a Jew. Marty Kaplan takes this question up in his Jewish Journal article, "Waiting for Jewman." We are puzzled at the linkage of topics. But we want to make it clear that sometimes asking if someone is Jewish is just that and nothing more. And sometimes it is more. Jon Stewart is a comedian. His profound impact as a cultural critic and political commentator is anything but funny. That's a big part of what makes him Jewish, no? 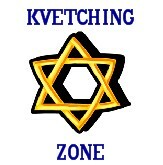 Is Kvetching Kosher? Is it Good for Your Health? The Atlantic says yes, that kvetching, i.e., complaining, can be good for your health. The article is mostly pop psych, but I like the approach. My add to the discussion is that I find often a complaint is in its first priority, a request for compassion. The article specifies, "sympathy and attention" - not the same thing as compassion. And in its second purpose, complaining can be an inquiry seeking a resolution. I recommend this insightful article from European Judaism, Volume 47, Number 2, Autumn 2014: 95–106: "SOLOVEITCHIK’S ‘NO’ TO INTERFAITH DIALOGUE," by Angela West. Rabbi Joseph B. Soloveitchik, one of the outstanding figures of modern Orthodox Judaism in the twentieth century, was opposed to interfaith dialogue and more particularly, to theological dialogue with the Catholic Church. In guidelines laid down in his paper ‘Confrontation’ in 1964 he proposed that Jews and Christians should discuss social and ethical problems together, but not matters theological. Since he was personally well acquainted with non-Jewish secular learning and had a philosophically sophisticated understanding of the role of halakhah, there has been much speculation as to why he sought to restrict dialogue in this way. Fifty years after ‘Confrontation’ was issued, it may be useful to re-examine his reasons and motivation in this matter and consider what relevance it has for contemporary interfaith relations. The first week of February is World Interfaith Harmony Week, which aims to promote harmony between all people regardless of their religious faith. In honor of this event, we are delighted to offer free access to the following articles from our journal, European Judaism that deal with many aspects and opinions of interfaith dialogue and relations. One trending apology has been in the news this week. Brian Williams said he was sorry for exaggerating events about his life, making himself sound more heroic than he really was. Let me reflect on this. On the one hand, accuracy is a professional need for the integrity of all reporters. On the other hand, this is not a question about his news reporting. He seems to have bragged about his own life, and not bungled any of his news reports. His professional integrity remains intact, though his personal integrity is now in question. Brian needs to take a vow of impeccable integrity, a concept that I suggest in another context in my column of this week in the Jewish Standard, see the second question below. For those who want to know, Brian Williams is not Jewish. Wikipedia tells us that, "Born in Elmira, New York, Williams was reared in a well-to-do Irish Catholic home." Here is a video clip about Brian's apology and its aftermath. We erected an eruv around our community to permit people to carry outside of their houses on Shabbat. It’s a wire that surrounds our area, a hardly visible enclosure. Based on that construction, I do go outside on Shabbat carrying my keys and other items. One time on Shabbat I inadvertently carried outside the eruv. Later, when I realized what I had done, I felt that there really was no difference at all when I carried outside of the boundary. I wonder now how is this eruv practice being meaningful? Please help me sort this out. It seems from your question that you observe Shabbat with all of its Orthodox requirements and restrictions. So you do know that it is forbidden to do acts classified as work by the rabbis. Carrying from one domain to another is one of their main classes of work. The majority of the categories of Shabbat-work relate to the sequences of cultural processes that a person would engage in to prepare foods or to make clothing. We refrain from those types of actions on the holy day of rest. Transporting an object from one domain to another is more of a stand-alone taboo, not in one of the two clusters of work actions, preparation of food or clothing. And now you ask how you can find some meaning in this taboo. You can shlep heavy items all around your house and private yard but you cannot carry a little key outside of your home unless there is an eruv. It’s a good question. Let’s step back for a moment and consider an imperfect analogy: football. We know that the sport has rules and boundaries. All the play must take place on the field. If a runner with the ball steps out of bounds, the play is ruled dead and action stops. The field of play for Shabbat is the home. A participant can carry inside a house and yard but not transport something across the out-of-bounds line. A rabbinically sanctioned eruv cleverly extends a private yard to the larger encircled community. That makes the boundaries for carrying much wider. You are correct in your feeling. Carrying outside an eruv is not a different physical action from carrying inside it. But you also must know that if you are going to play the game, you need to observe the rules. In football a receiver who steps out of bounds knows he has crossed a boundary and knows what the rules say about that. Let me be clear, though. By offering this analogy I do not want to imply that Shabbat is a game like football. I offer the comparison to provide you with a rationale for finding some more familiar meaning in the highly abstract Shabbat boundary rule. I hope that it helps. A number of years ago I made a mistake at my job. I was accused of being unprofessional and I was dismissed by my employer. In my line of work, news gets around. So when I went on an interview for a job recently, the first question I was asked was how I explain what happened when I got fired earlier in my career. Apparently, the explanation I offered was not effective. The outcome of that recent encounter was that I did not get the new job. I need to know — in such a circumstance in the future, what should I do? Though you don’t spell out the details, you still raise a thorny question. In the age of the Internet, we must assume that all of the good and bad news about us gets around. Even in antiquity, stories of bad behavior were told widely. Our Bible and Talmud are full of stories of people making “mistakes” — of sinning or of acting improperly. It’s part of the life of every community, and yes, of every individual. To provoke the response of termination, your mistake must have been a serious violation of a professional norm or of some crucial dictates of your profession. We Jews ought to be good at repairing our mistakes. If you say the daily prayers you know that we ask God to forgive our sins three times a day. And every year between Rosh Hashanah and Yom Kippur we get to go through a period of teshuvah, serious repentance. We get to regret our missteps, we get to resolve not to repeat them, and we beg God to have compassion on us and to forgive us for our transgressions. Unfortunately, your future employers may not know if you repented your errant ways in prayers or in the synagogue and were forgiven by God. Accordingly, in your next interview you will need to give to your potential manager a credible non-theological narrative of the actions you took to correct your mistakes. There is no magic formula that I can reveal to you to enable you to do this convincingly in a job discussion. Even so, it is fair though to assume that before they hire you, most employers will want to know several key facts about how you view your own past acts and how you will act in the present and the future. First, they will want to know if now you are more aware of the gravity of what you did in the past to provoke your firing. If you have done your own serious soul-searching in the aftermath of that episode, you should tell the new potential bosses just that. You get it. You were wrong. Second, you will benefit by being explicit about owning up to your mistakes. Just saying that you “own” your behavior, you accept that you did wrong, you understand what you did was improper, and you regret it, are quite powerful pronouncements, especially in the context of an interview. And even though your past wrong act had no impact on your new employer, saying to him that you apologize for your past error has a powerful impact. I realize that saying you are sorry is not easy. But sociological studies show that people will forgive all kinds of transgressions if there’s an apology. Victims of a crime will forgive a perpetrator who is sorry. The public will forgive transgressions of politicians or celebrities, if they apologize openly and repent. And third, and most important, you need to be convinced yourself, and to be convincing to others, that you have taken a vow of impeccable professional integrity. You cannot be too clear about this. You will be well-served by saying outright that in all of the contexts of your employment, you have resolved never again to veer from the center of the path of propriety. You can’t just say the words. You have to mean them. If you are sincere about these matters, you will sound sincere to your potential employers. If not, your representations will sound hollow. Authentic teshuvah can be a powerful healing part of your life. So do it, and good luck. Although next time you may or may not get the job, if you narrate the details of your positive transformation to your potential employer, you will know with confidence that you made a strong effort at projecting to others the growth of character that you have achieved. Tzvee Zahavy earned his Ph.D. from Brown University and rabbinic ordination from Yeshiva University. 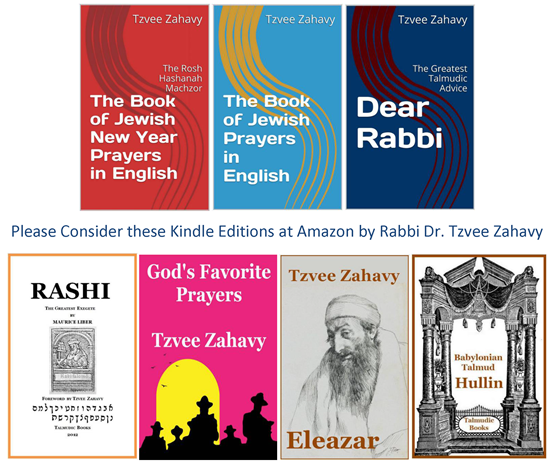 He is the author of many books, including these Kindle Edition books available at Amazon.com: “The Book of Jewish Prayers in English,” “Rashi: The Greatest Exegete,” “God’s Favorite Prayers,” and “Dear Rabbi” — which includes his past columns from the Jewish Standard and other essays.